Yogyakarta, Faculty of Medicine UII – To qualify for final graduation, this time the Faculty of Medicine UII held a National Symposium of Continuing Medical Education 2017. The event, entitled CHRONIC (Current Update of Hypertension & Diabetic). The reason of how this event was held because of a sense of concern from the students of the Faculty of Medicine UII with more people who suffered from hypertension and diabetic. It turns out that both of them diseases couldn’t only be caused by factors of age and heredity. But it could also be caused by diet and life. 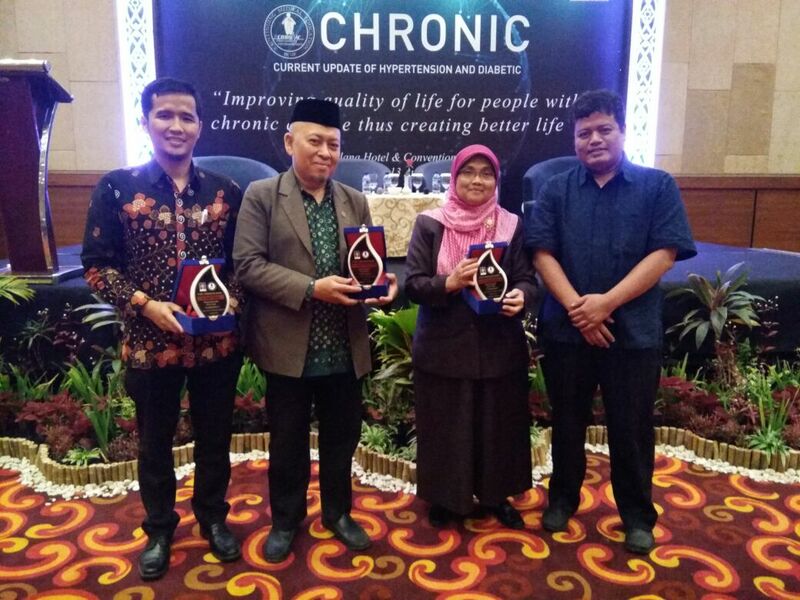 The event was held on Sunday 20 Dzulka’idah 1438 H / 13 August 2017 in Alana Hotel Ballroom, Yogyakarta with a nice the theme “Improving the quality of life for people with crhonic diseases, thus creating a better future”. Together with the experts who became speakers in this event. This event aims to provide knowledge and motivation to live for the people with chronic diseases. It was hoped through the general practitioner who follows the symposium. Those who have suffered from acute illnesses become more productive again and did not regret what has happened to him so it could gave them a better life. Because each year the sufferers of hypertension and diabetes on the rise. Based on the World Health Organization (WHO), last year Indonesia ranked 7 sufferers of diabetes mellitus and the number of sufferers is about 10 million people. Even diabetics in Indonesia not only in Indonesia is not only that of the elderly, but young children to adults are also not losing much. The fact sufferers of hypertension and diabetes in Indonesia not only elderly people, but the kids to adults are also much affected by this disease.